CSK took four key wickets in the period between 9 to 16 overs against KKR, including that of Russell which allowed them to keep the scoring down in the death overs. Chennai Super Kings have put one foot in the Play-Offs with a clinical win against Kolkata Knight Riders at Eden Gardens on Sunday. With seven wins in eight games, they sit pretty at the top of the points table and have clear daylight between them and the next contenders. As they often do, Chennai took all of 20 overs to finish the chase, but as T20 wins go they defeated their opponents quite comprehensively in almost all departments of the game. They will take a lot of heart from this win purely because several performers in their star cast put their hands up and played match winning roles. 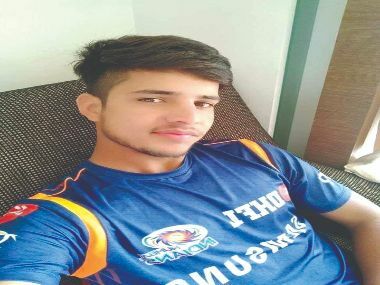 Among the key contributors was Shardul Thakur who has had an up and down season so far but came good on the night against a star-studded batting line up. Shardul always had an extra yard of pace to trouble good batsmen, but his accuracy often lets him down. 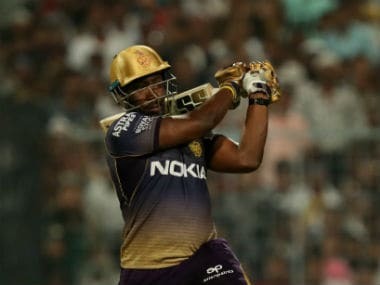 Against KKR, he bowled well with the new ball hitting the hard length against Chris Lynn and managed to keep him quiet from his end. At the death, he varied his length and used the slower bouncer to good effect to keep the batsmen guessing. More importantly, he didn’t bowl that one loose delivery every over that he is notorious for. Shardul and Chahar didn't concede a boundary in the last three overs of the KKR innings. A remarkable and rare feat in this format of the game on a good batting pitch. Both of them had Imran Tahir to thank for making their job much easier. Imran Tahir came into the attack at the end of eight overs with KKR scoring freely and Chris Lynn having found his range. 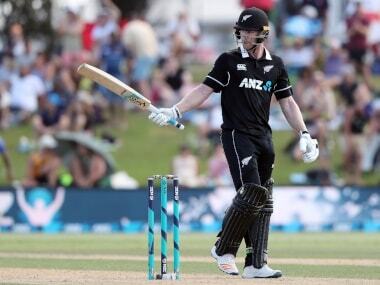 Miserly as ever, he immediately started to build pressure on the batsmen with Mitchell Santner varying his length and trajectory beautifully to keep the batsmen guessing. What makes Tahir a captain's delight is the fact that he is on a constant lookout for wickets. He doesn't mind going for a few boundaries, but you would rarely see him finish his spell with zero against his wickets column. His variations and accuracy make him dangerous especially against a new batsman, so you often find him picking wickets in a heap. In his second over of the innings, Tahir lured both Nitish Rana and Robin Uthappa into false shots, and du Plessis gobbled up both the chances in the deep. Chennai's catching, led by Faf du Plessis was top drawer the whole afternoon. 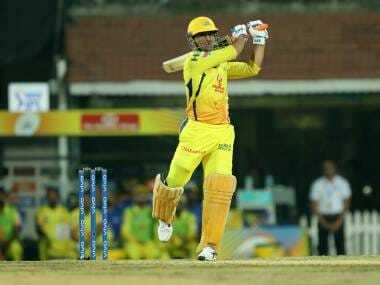 Dhoni has been vocal about the need to take their catches, and this performance will please him no ends. At the other end, Lynn still managed to keep the scoring rate up. He unleashed his raw power against a hapless Ravindra Jadeja in the 14th over hitting him for three consecutive sixes raising questions over Jadeja's utility as a bowler on flat pitches. Jadeja is as good as anyone in the world when the pitch provides natural variations. On a flat deck like the one at Kolkata, set batsmen can line him up due to lack of variations in his bowling. The next over by Tahir, the fifteenth of the inning, turned the game on his head. Tahir bowled the first ball slow and wide to beat Lynn's bat. Even though it was called a wide, it set Lynn up for the quick change up the next delivery which Lynn could hit only as far as deep square leg. 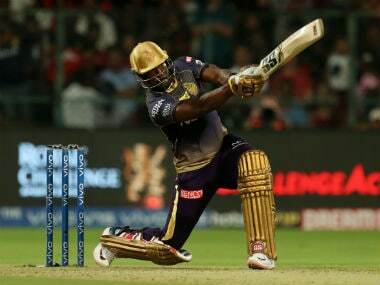 Lynn's wicket was timely, but it brought the most feared man in IPL, Andre Russell in the middle with around five overs to go in the match, a situation the big West Indian relishes. Customarily Russell got away with a four and a six off the first three deliveries he faced against Tahir who wasn't scared to toss the ball up. Despite getting hit, Tahir didn't flatten his trajectory or shorten his length to keep Russell quiet. 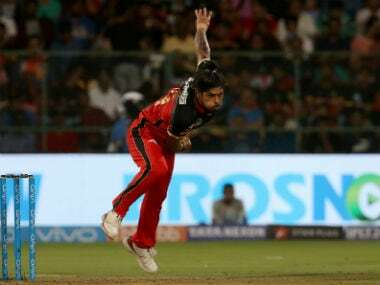 He bowled another leg break slightly wide that Russell couldn't resist, but could only hit it as far down as substitute fielder Dhruv Shorey at Long on who matched Tahir's roar with one of his own. With both danger men out of their way, Chennai bossed the final five overs of the innings conceding just one four in that period. Looking at the scoring rates, one can say that Dhoni and his men squeezed the opposition in the death overs, but that was only made possible by their superiority in the middle overs. They took four key wickets in the period between 9 to 16 overs, including that of Russell which allowed them to keep the scoring down in the death overs. When T20s started, the notion of middle overs seemed strange. It appeared a twenty over innings can only have a start and a finish with no middle. But as teams have shown, the middle overs spell is often crucial in the result of the game. CSK have managed to dominate the eight over period between the ninth and the sixteenth over in almost every match, and that is one of the secrets behind their consistent run this season. In terms of numbers, CSK have picked 22 wickets in this period while losing only 12. The only game where their opponents controlled these middle overs better was the one they lost against Mumbai Indians. With two back-to-back wins on the road, Chennai may start looking to rest a few players before the Play-offs and try a few different combinations and tactics. Their willingness to take more risks at Eden Gardens was a shift from their standard approach. Both Jadhav and Dhoni went for big hits early in their innings against spinners. It's probably something their think tank has worked out for them, and the players have full confidence in going out there and trying new tricks. With this willingness to continually improve as a team as the season wears on, Chennai Super Kings are looking all the more formidable in their title defence.